Carlos & Gabby’s Opening This Winter in Miami Beach, Florida! Welcome the popular Cedarhurst sandwich and chicken zingers to the South Florida Kosher scene, because Carlos & Gabby’s is coming to town! With 4 existing locations in Brooklyn, Riverdale, Queens, the Five Towns, and inside Madison Square Garden, Carlos & Gabby’s will be bringing its Mexican flavors down south to 41st Street, the Kosher hub of Miami Beach, taking over the former space of Sam’s Deli. Even though their is already a Kosher Mexican restaurant in South Florida, Mexico Bravo, it’s further north in Sunny Isles. 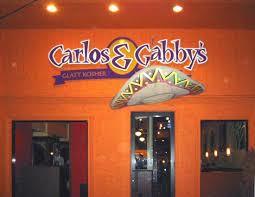 Carlos & Gabby’s is looking to continue to duplicate the success it has in the NYC area. Additionally, C&G’s will soon be bottling and selling their sauces (you know, the multiple sauces you always add to your zingers, or Cedarhurst sandwich) in their stores and kosher supermarkets. The plan is to open the new restaurant by February 2014.